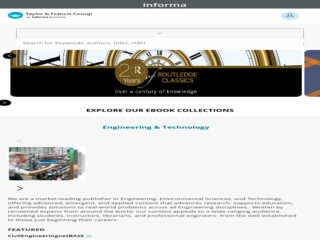 Taylor & Francis E-Books Justice T.P.S. Chawla also have perpetual access of 300 electronic books published by Taylor & Francis Publication. The titles may be accessed full text with in the IP Ranges of NLU, Delhi.